For a director that made his mark with psychological thrillers, Denis Villenueve can't seem to scratch his itch for sci-fi. Arrival, the filmmaker's latest effort, is an alien communication drama that has been met with overwhelmingly positive reviews. His next film? Oh, just the Ryan Gosling-starring Blade Runner sequel that fans have been waiting for since 1982. Currently filming, the sequel will follow the events of the original film, and boasts one of the most star-studded casts in recent memory. In addition to Gosling, the film will feature performances from Jared Leto, Mackenzie Davis, Dave Bautista, Robin Wright, Barkhad Abdi, and Lennie James. Harrsion Ford, the star of the original Blade Runner, will also appear in the film. After an experience like this, you would think that Villenueve would rather step away from the genre for awhile. Quite the contrary. In an interview with Variety, Denis Villenueve admitted that one of his biggest film dreams is to make another Dune. The original film was released in 1984, and wasn't exactly adored by critics or fans. Many enjoyed its visual effects, audiences thought Dune was a poor adaptation of the book series. 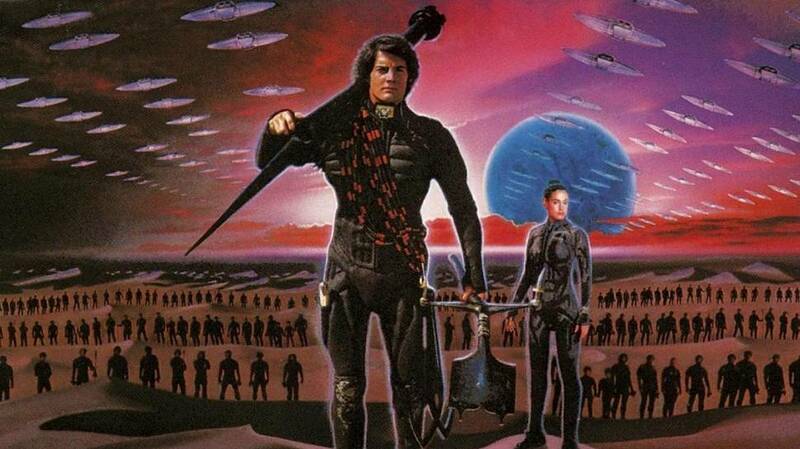 The Dune Saga, written by Frank Herbert, is one of the most popular science fiction franchises of all-time. The first installment is the number one selling sci-fi book in history, and fans of the series were expecting so much more from the film. To put it in perspective, it would be as if The Walking Dead had been massively mis-represented in its TV adaptation. Fans would have been furious, and the series would not have lasted. "I had been wanting to do sci-fi for a very long time. 2001: A Space Odyssey is a movie that really impressed me as a teenager. And also Blade Runner. And Close Encounters of the Third Kind is also one of my favorites. I’m always looking for sci-fi material, and it’s difficult to find original and strong material that’s not just about weaponry. A longstanding dream of mine is to adapt Dune, but it’s a long process to get the rights, and I don’t think I will succeed. Also I would love to write something myself. I have two [sci-fi] projects right now that are in very stages. It’s too early to talk about them." Unfortunately, Denis is right. Acquiring the rights to an existing franchise is difficult. However, we've learned lately that it isn't impossible. If Marvel can get Spider-Man back, and the sci-fi genre keeps succeeding in the box office, there isn't any reason Villenueve couldn't achieve his dream.